Settings are saved to HouseGlobe.cfg, so you don’t need to re-type ip numbers or ports. You can now enter your name when you play multi-player games. You can chat (press enter to begin typing, and enter again to send). The restart command has been moved to Cmd+R (Ctrl+R on Windows). The replays of this new version is not compatible with older versions, so the file extension has been changed to “hg3″. However, “hg2″ replays are still compatible with this version, so simply rename them if you want to keep them for later. Hit the jump for some strategy tips! Remember “Because it’s fun, Fay?” It was a game we made for the TIGSource Procedural Generation Competition, held earlier this summer. We created it using our Lua script engine, Daisy Moon, which we usually use when we want to prototype different game ideas (we also use Multi-media Fusion sometimes, depending on the situation). The game turned out to be a two-player platform game with one character living in a rotated dimension, and with a JRPG end-boss fight. Maybe not our greatest game, but if you haven’t tried it, you can find it here. Now it’s time for a new TIGSource competition and a new game! This time the theme is Bootleg Demakes, and people have posted over 100 threads about competition projects. A “bootleg” means “inofficial copy” and “demake” means “that is made to look as though it were running on older-generation hardware”. We could obviously not resist competing again and, using our Daisy Moon engine once more, created House Globe. Hit the jump for the full story! It’s time for another “Harvest: Massive Encounter” update. The new version is numbered 1.14, and is a non-crucial patch that adds mod support to the Creative Mode. We have started a whole new section on the forums related to Harvest modding, head over there now and check out all the mods that are being made! The forum section also contains all the necessary information needed to get started with making your own mod. For example, check out How To Create Mods or How To Create Custom Graphics to get you going. All mods are open source and easily changeable in any text editing tool. Emulate Normal Mode: A mod that works just like the Normal Mode. Emulate Rush Mode: A mod that works just like Rush Mode. Emulate Wave Mode: A mod that works just like Wave Mode. Starhawk: A mod that allows the player to send in a small fighter jet with custom graphics by entering “starhawk” in the input field that appears after pressing Enter ingame. Super Gun: A mod that allows the player to upgrade defense towers into bullet spewing super guns! These guns don’t require energy, but instead eat credits when they need to refill ammo. Infinite Credits: A mod that gives the player infinite credits. Here’s the Mac OS X updater for registered users (2.6 MB). Open the dmg and run the patcher, then simply drag and drop the Harvest application on to the patcher’s window. The Windows update is available here (1.3 MB). This patcher requires a previous installation of Harvest, simply use the same application folder when you run it. Oxeye has done a wonderful job and I pray that they make massive piles of money so we can see what they do next. … and we couldn’t agree more If you know about other reviews that we may have missed out on, please let us know in the comments! During the last couple of weeks we’ve been working on a small game for TIGSource’s Procedural Generation competition. The deadline is tonight, and we are just finished! The game’s called “Because it’s Fun, Fay”, and is about a woman called Fay who has been trapped in a tower by a lonely fairy known as Cornipolous. Not interested in being anybody’s pet prisoner, Fay decisively begins to find her way out of the tower. Cornipolous knows there are many dangerous monsters around, and he doesn’t want her to get hurt, so he’s forced to assist in her escape. It’s 2PM and Jeb and Thewreck are still sleeping, reason? Yesterday we attended the Swedish Game Awards Grand Finale at Kulturhuset in Stockholm, representing Harvest. By representing I don’t mean just exhibiting the game, I mean social representation too (AKA drinking beer with fellow Indie-spirits discussing Indie-glory). Great success! If anyone of you ever stop by Skåne, give us a call! I must say, after having been a bit disappointed by some of the downloadable games at the SGA web site I was pleasantly surprised by this year’s line-up, especially by Blueberry Garden and Swarm! Hit “Read More” to see the winners and video coverage of the ceremony! Yesterday and today the Nordic Game 2008 is running here in Malmö (Sweden), which means the “number of game developers per capita” has sky-rocketed for a moment. We took this opportunity to meet up with some of the indie celebrities, namely Petri Purho, maker of IGF 2008 winner Crayon Physics Deluxe and Crayon Physics, Erik Svedäng, maker of the very much talked about Blueberry Garden, and Martin didn’t-catch-his-last-name who runs www.grapefrukt.com and a lot of cool stuff in his blog. Hit the jump for pictures! As some of you might already know, we’ve been working (experimenting) with adding Lua to Harvest. The mods allow you to alter the game rules in Creative Mode, and can be used to add new effects, triggers and even gameplay elements. 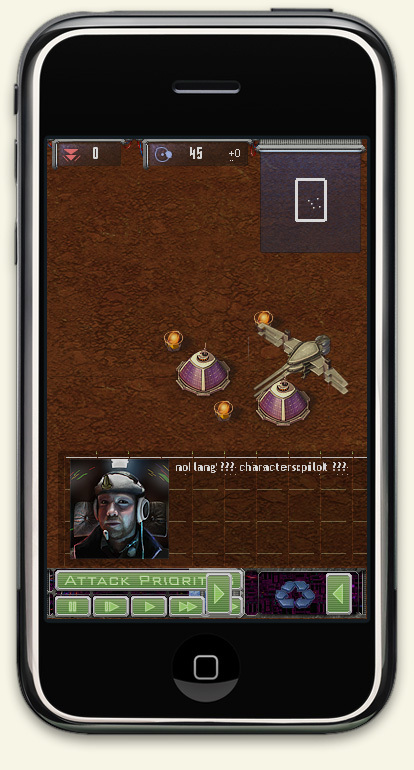 While there still is a lot of work to be done (such as modifying alien AI), it’s already running nicely. The editors were created using a tool called Borland C++ Builder. Borland has since then discontinued it in favor of the Java Builder, so I’m not sure if it’s possible to get your hands on a copy any longer. In any case, some of the editors are a real mess, I suggest you check the readme in the source package before you begin. Of course, if you’ve never used the compiled binary versions of the editors, it will be even harder. Check my previous post for download links to the editors. The Akarra shard hub, Akarra.net, hasn’t really gotten started yet, but according to rumours TbbW is working on the back-end, so hopefully it will be more useful “soon”. I suggest you check back there every once in a while if you’re into Whispers in Akarra.